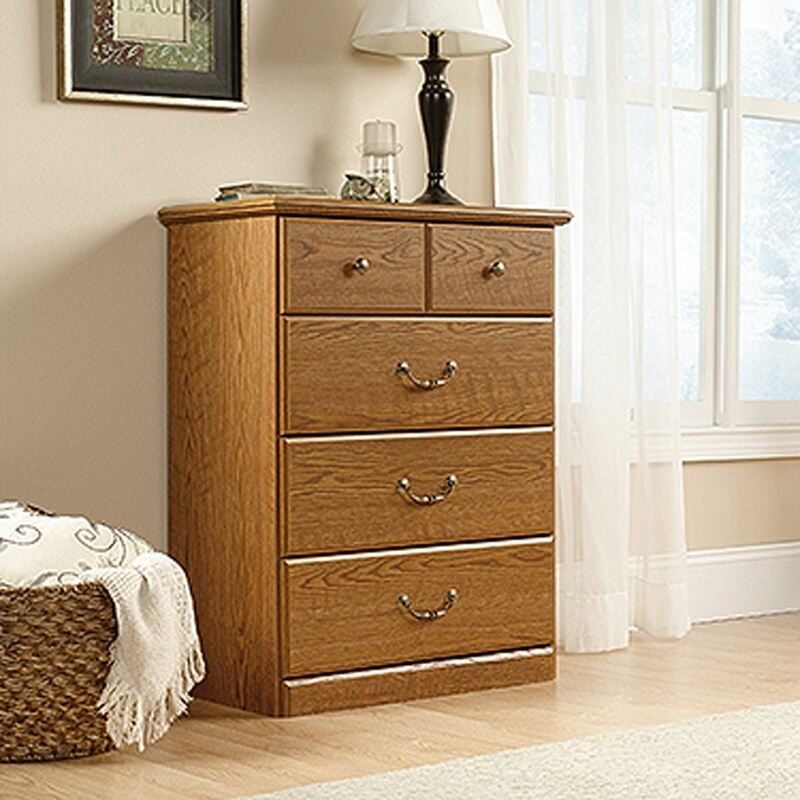 Orchard Hills 4-Drawer Chest Carolina Oak By Sauder. 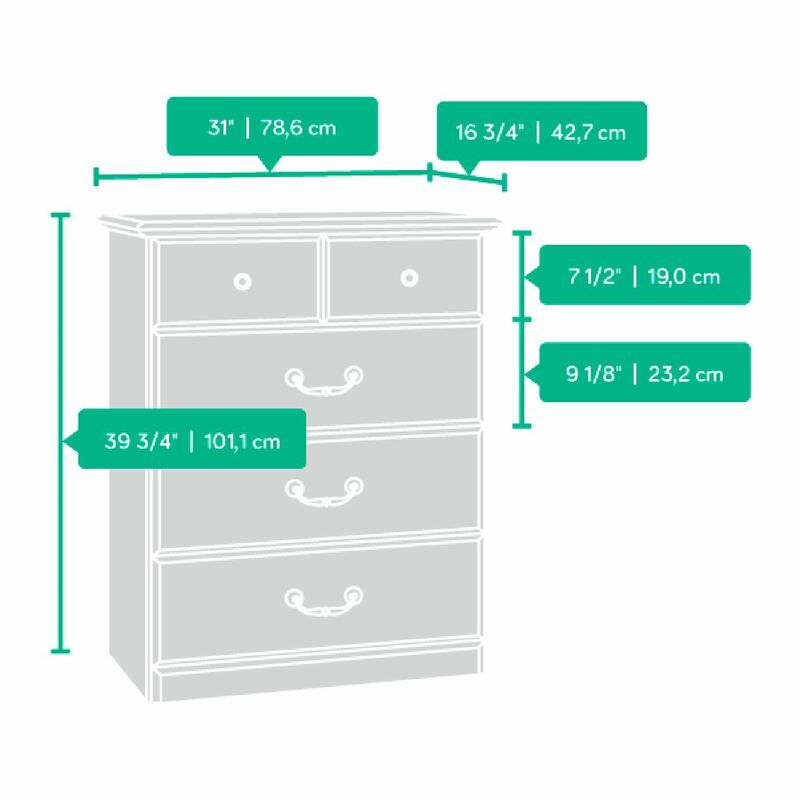 Top drawer features a divider. Three lower drawers are extra deep and feature patented T-lock assembly system.